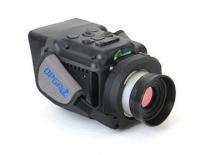 OPGAL, a global manufacturer of innovative thermal imaging cameras for the oil and gas industry, has received independent verification for its Optical Gas Imaging (OGI) technology in relation to the new Environmental Protection Agency “QuadOa” regulation (EPA NSPS 40 CFR part 60 subpart OOOOa). EyeCGas, the OGI camera that enables users to identify hydrocarbon and volatile organic compound (VOC) leaks with pinpoint accuracy, was independently tested at the UK’s National Physical Laboratory, and was proven compliant with the regulation requirements. The rule requires the OGI camera to be capable of imaging a gas that is half methane, half propane at a concentration of 1% at a flow rate of ≤60 g/hr. QuadOa was introduced to reduce greenhouse gas and VOC emissions in upstream and midstream operations. Its leak detection and repair (LDAR) requirement means that oil and gas operators now need to routinely monitor fugitive emissions from equipment at new, modified and reconstructed well sites and compressor stations. QuadOa came into effect in August 2016, and will become mandatory by June 2017. OPGAL will be offering best practice training for emission reduction in early 2017.